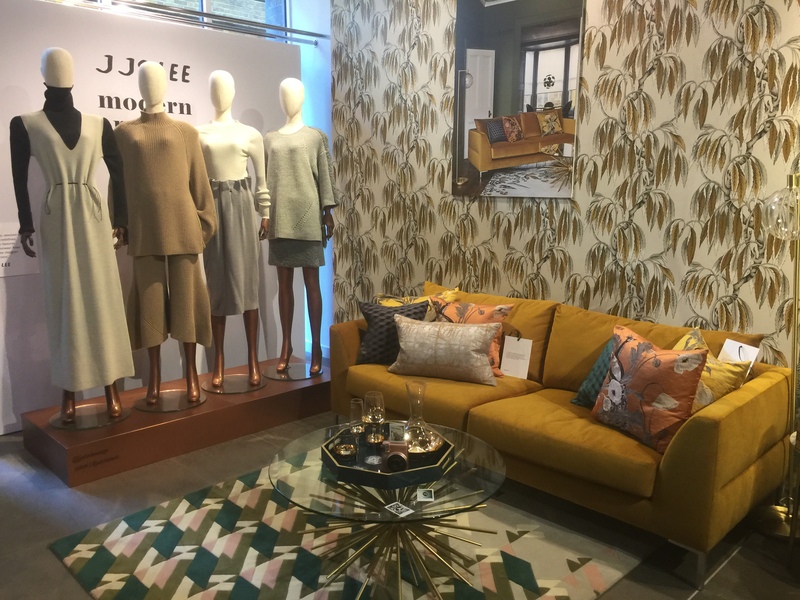 John Lewis new collection – Art, Food, Travel and Fashion! John Lewis is a chain of high-end department stores operating throughout the United Kingdom. The chain is owned by the John Lewis Partnership, which was created by Spedan Lewis, son of the founder, John Lewis, in 1929. The first John Lewis store was opened in 1864 in Oxford Street, London. The chain’s slogan is “Never Knowingly Undersold” which has been in use since 1925. There are 50 stores throughout England, Scotland and Wales, including 12 “At Home” stores, and “flexible format” stores in Exeter and York. The first John Lewis concession opened in New South Wales, Australia in November 2016. On 1 January 2008, the Oxford Street store was awarded a Royal Warrant from Her Majesty the Queen as: “suppliers of haberdashery and household goods”. John Lewis Reading is also the holder of a Royal Warrant from the Queen in 2007 as suppliers of household and fancy goods. The John Lewis Christmas advert was first launched in 2007 and it has since become something of an annual tradition in British culture, and one of the signals that the countdown to Christmas has begun in the UK. John Lewis store in Liverpool. The flagship store on Oxford Street began as a drapery shop, opened by John Lewis in 1864. In 1905 Lewis acquired a second store, Peter Jones in Sloane Square, London. His eldest son, John Spedan Lewis, began the John Lewis Partnership in 1920 after thinking up the idea during his days in charge of Peter Jones. John Spedan Lewis also thought up the idea of the Gazette, the partnership’s in-house magazine, first published in 1918. In 1933 the partnership purchased its first store outside London, the long established Jessop & Son in Nottingham. Jessops only rebranded itself as John Lewis on 27 October 2002. In 1940 the partnership bought Selfridge Provincial Stores. This group of sixteen suburban and provincial department stores included Cole Brothers, Sheffield; George Henry Lee, Liverpool; Robert Sayle, Cambridge; and Trewin Brothers, Watford; all of which continue to trade today but are now re-branded as John Lewis. In 1949, it was reported that London branches included Peter Jones, John Barnes (now a branch of Waitrose), John Pound and Bon Marche. The “provincial branches” were Robert Sayle, of Cambridge and Peterborough, Tyrrell & Green, of Southampton and Lance & Lance of Weston-super-Mare. They also had “silk shops” at Edinburgh, Hull and Newcastle upon Tyne. In 1953 the renowned Reading department store Heelas became part of the John Lewis group and remained named as such until 2001 when it adopted the John Lewis name. Also in 1953 the partnership bought Herbert Parkinson, a textile manufacturer, a business which still makes duvets, pillows and furnishings for John Lewis. John Lewis store in Cardiff. The first John Lewis store constructed as part of a shopping centre was the relocated Jessops, in Nottingham, which has been a feature of the Victoria Centre since it opened in 1972. The announcement of an anchor tenant such as John Lewis contributes to the certainty of developers’ proposals, and so attracts other retailers to the area. Before the relaxation of UK Sunday trading laws in 1994, John Lewis stores closed on Mondays to allow staff a full two-day “weekend”. The John Lewis Partnership were the first department store group in the UK to adopt central buying, launching the ‘Jonell(e)’ name for own brand merchandise in 1937. That brand name has gradually been replaced with the ‘John Lewis’ name since 2001. Additional own brands include Collection by John Lewis as well as John Lewis & Co. and Collection Weekend by John Lewis. A selection of Waitrose own brand products, such as cleaning materials and party stationery, are also available from John Lewis. Many stores acquired by the Partnership retained their original names for many years, including Tyrrell & Green in Southampton until 2000, Bonds in Norwich until 2001, Trewins in Watford until 2001, Jessops in Nottingham (its first store outside London) until 2002, Bainbridge’s in Newcastle until 2002, Robert Sayle in Cambridge and Cole Brothers in Sheffield until 2002. All have now been rebranded John Lewis, with the exception of Peter Jones in south west London and Knight & Lee in Soutsea. Investment has been made across the group over recent years. This has included the renovation of Peter Jones at a cost of £107 million, completed in 2004. The original Oxford Street shop is still the flagship and largest branch in the partnership. A complete refurbishment of the building was completed in late 2007 at a cost of £60 million. This introduced the new ‘Place To Eat’ restaurant and a brasserie and bistro in the store. A ‘John Lewis Food Hall from Waitrose’ opened in the shop’s basement on 3 October 2007. A second Food Hall opened at the John Lewis Bluewater store on 6 August 2009.